Encourage mom's active lifestyle this Mother's Day with a pair of the all new You by SKECHERS shoes! I don't know about you but as a runner there's nothing more encouraging than a new pair of shoes to try out. Whether your walking, running or hitting the gym a new pair of shoes is the perfect way to kick it up a notch. The all new You by SKECHERS shoes are extremely comfortable and make the perfect comfortable athletic shoe! You by SKECHERS shoes are also extremely light weight and make me feel like I'm walking on a cloud. I love how well they fit my foot and how fashionable they are! I'm a mom of four, a runner and so much more. Due to all of that I'm constantly on my feet and by the end of the day my feet are extremely tired and sore. With the all new You by SKECHERS I've noticed my feet don't feel tired and sore at the end of the day like they used to. 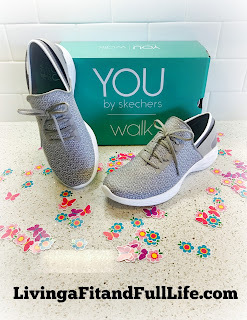 I'm absolutely in love with the new You by SKECHERS shoes and think they would make a wonderfully fabulous gift for mom this Mother's Day! Click HERE to find a store near you that sells SKECHERS! 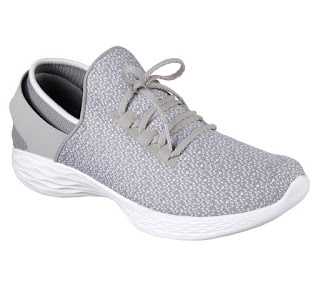 Click HERE to learn more about SKECHERS! Follow SKECHERS on social media!